We are proud to offer our customers a specialist industrial roofing which is of the highest quality and available in competitively priced packages across the UK. 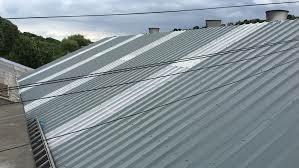 Buckingham Coating’s dedicated industrial roofing services include, roof coverings, gutter lining, asbestos roof repairs, roof coatings and roof treatments. Over time, roofing can deteriorate and become damaged. If this process is not remedied it can result not only in the complete failure of the roofing itself, but also damage to the building interior underneath it. 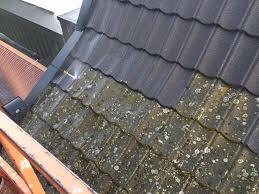 This damage can be a result of a failure the coating which covers the roofing panels. Often, building and business owners prolong remedial roof reparations for as long as possible. This is due to the perceived financial cost and disturbance to their operation which results from such work. We wish to assure you that, thankfully, this is simply not the case. The restoration of damaged industrial roofing need not be financially costly, because if caught soon enough the panels will not require replacement and can be remedied through a re-coating. When working on your behalf on an industrial roofing restoration or reparation project we take our upmost to ensure that the disruption that results to the operation of your business is minimal. One way in which this is accomplished is, where possible, completing the restoration work outside of your business’s operating hours. Most commercial units contain roofing which is comprised of numerous roofing types. We wish to assure you that irrespective of the age of your roof, our trained and experienced personnel will be able to not only identify the problem but also offer a comprehensive scope of remedial work of all cladding and roofing types. Once complete, we will provide a continued program of care and repair. If you wish to increase the lifespan of an existing sheet of roofing, then consider the deployment of an elastomeric coating. This coating type can be applied directly to the cut edges of the roofing, this includes laps and eaves, enabling for any corrosion on the roof’s fixings to be repaired.